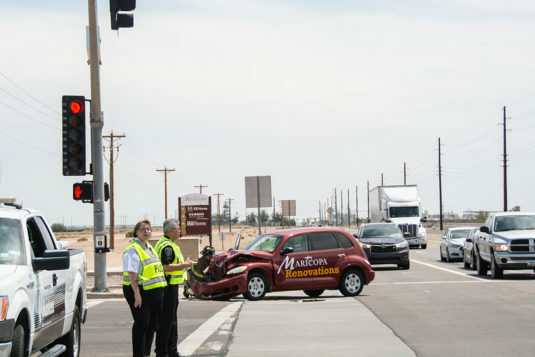 At least one person was injured in a collision Thursday at the intersection of Porter Road and Maricopa-Casa Grande Highway. 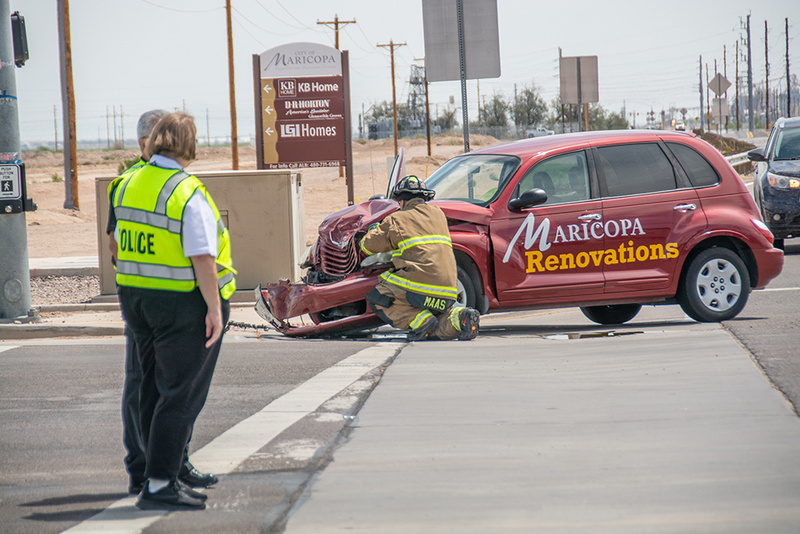 A PT Cruiser and a pickup truck were involved in the incident, which caused temporary lane closures. A woman was described as having lacerations from broken glass. 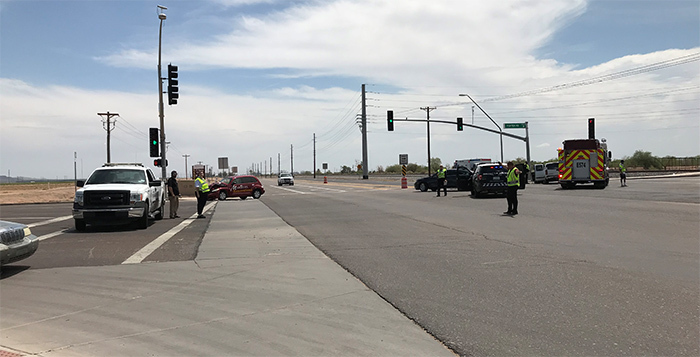 MPD is directing traffic at the location while investigating. 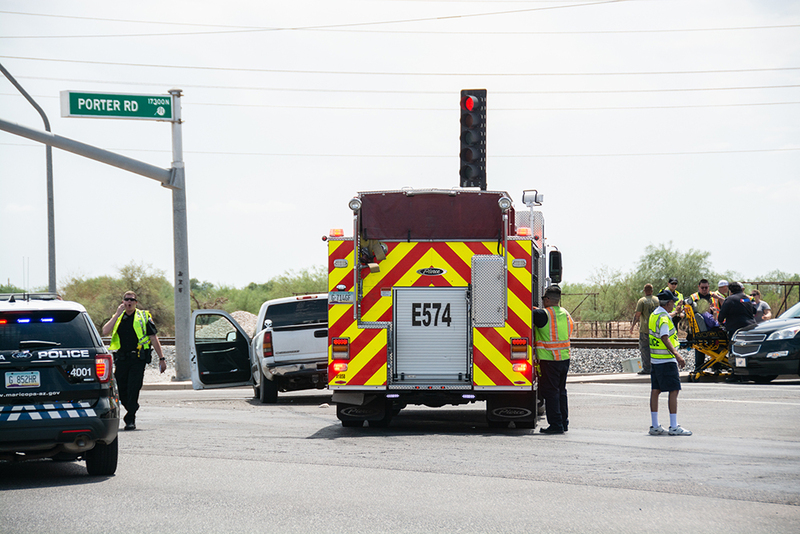 The incident occurred around noon.